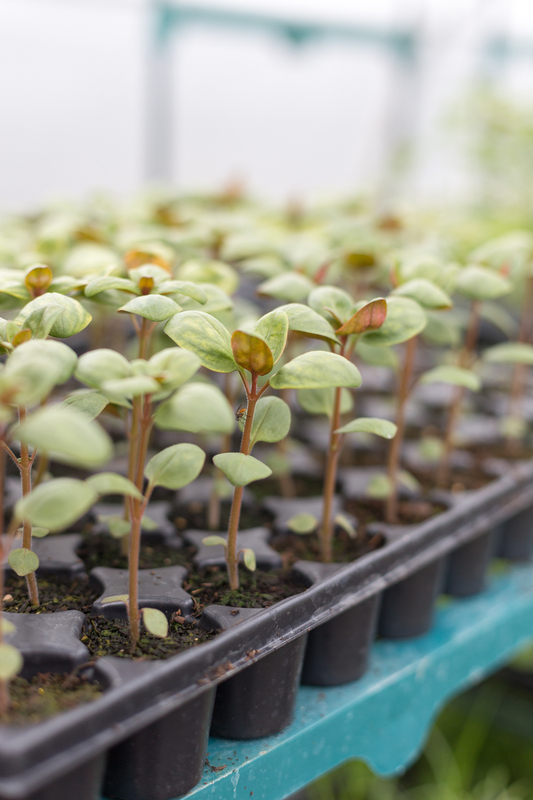 It was really incredible to see so many beautiful varieties growing... to smell the wonderful scent of damp earth in the poly-tunnels, and see so many seedlings stretching out towards the first of the Spring sunshine! 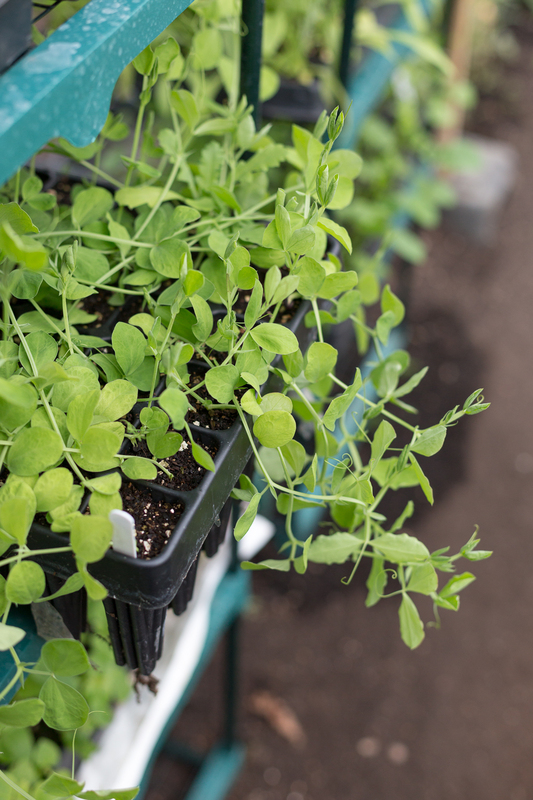 I loved seeing how it was possible to grow and harvest so many different flowers on a reasonably manageable plot. It gave me serious hankerings for a little Flower Farm of my own... but for now, a few pots in the back garden will have to suffice! Perhaps most exciting of all was being able to choose a few blooms ourselves, to design with when we got back to the Flower School... 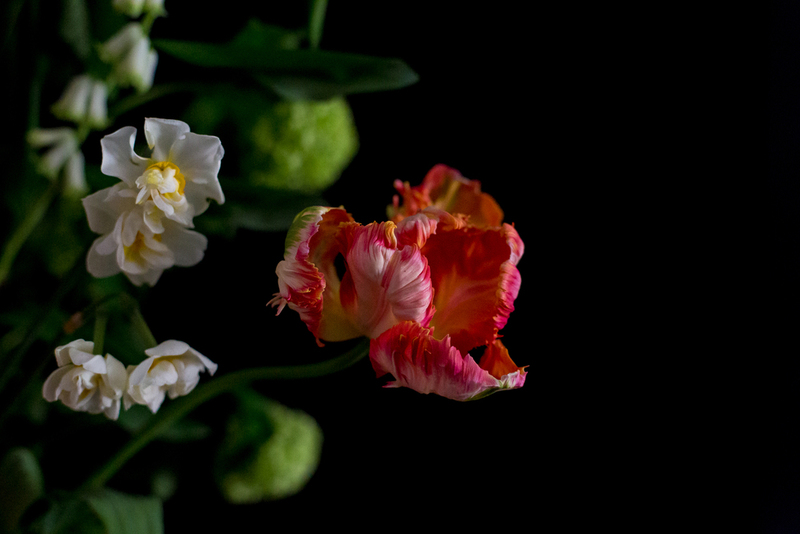 I was head over heels in love with Claire's Parrot Tulips (picked with the beautiful bulbs still attached, it was like something out of a Dutch Masters painting!) and also the Japonica Plentiflora, which I had been hankering after for a while... and was incredibly inspired to get cracking with all the gorgeous blooms we went away with! I incorporated the tulips in to my Dutch Masters inspired pedestal design (well, we couldn't not! ), which you can see below. Aren't they just a little bit dreamy?! 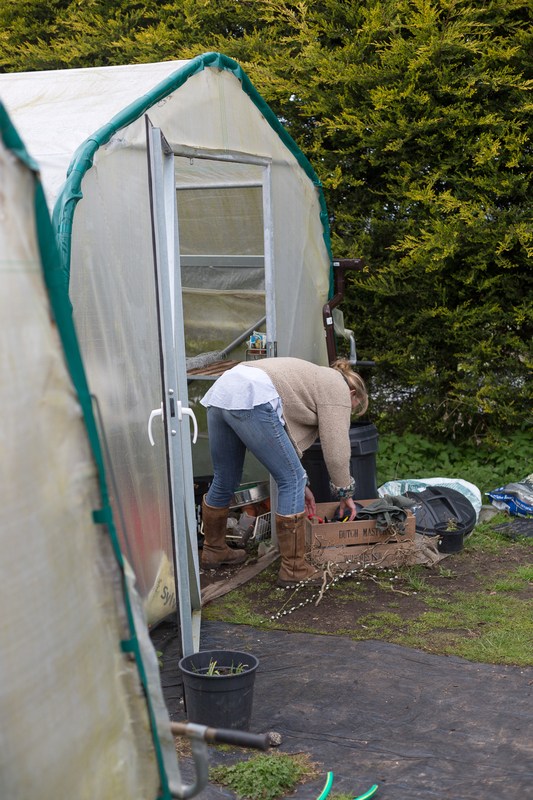 A huge thank you to Claire for having us on the farm and allowing me to take some snaps behind the scenes... I could have wandered around all day long!